A very good afternoon to all the dear blog readers. 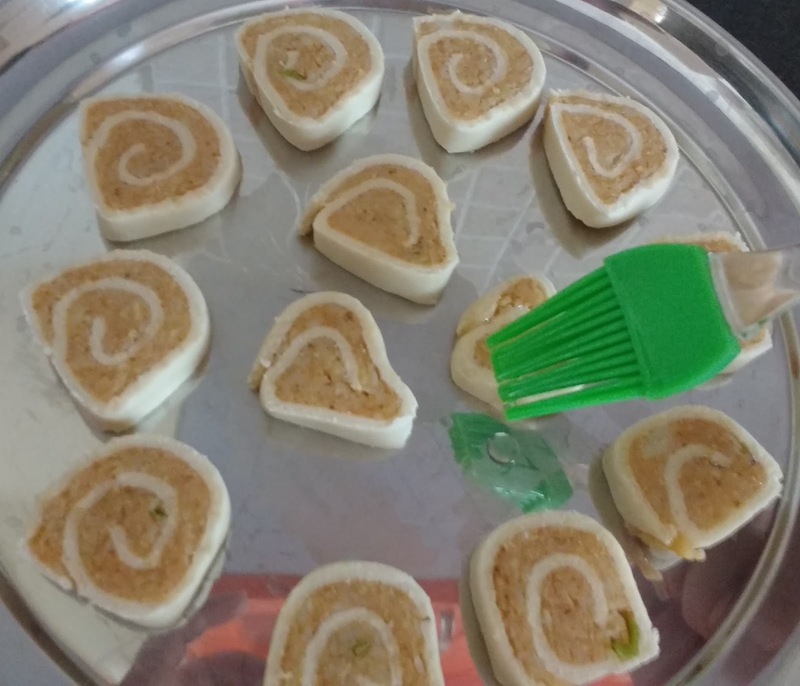 Today I am going to share the recipe for "Pinwheel Samosas". 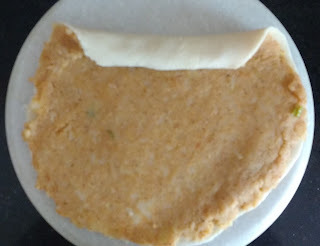 As the name suggests, this is just a new "Avatar" of traditional Indian snack "Samosas". 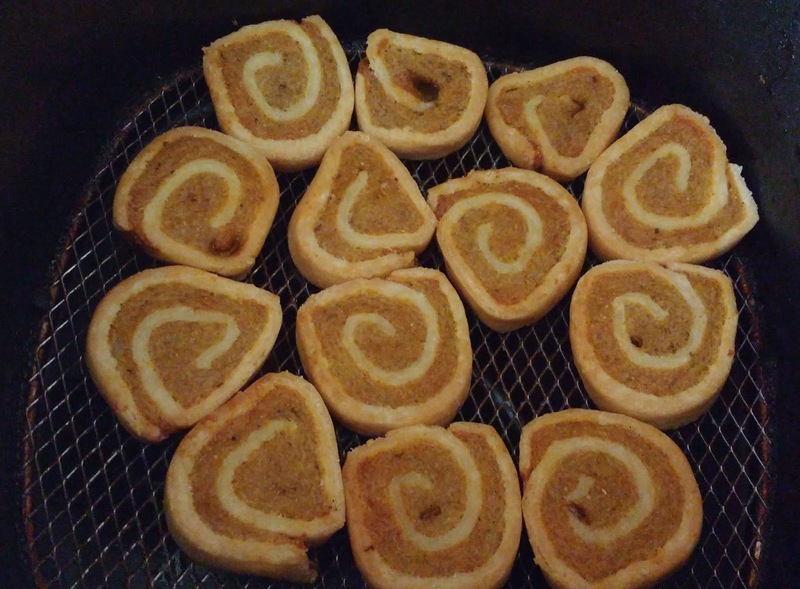 Just like Pinwheel cookies which comprise of alternate dark and light coloured layers, Pinwheel samosas are basically layers of flaky crisp pastry and spicy mashed potatoes turned into a spiral. They are a wonderful option for finger-food appetisers or snacks. I tried making them both ways - In Air-Fryer and usual deep frying method. It came out equally good in either ways. For a party or gathering, you can half-fry and keep them aside. 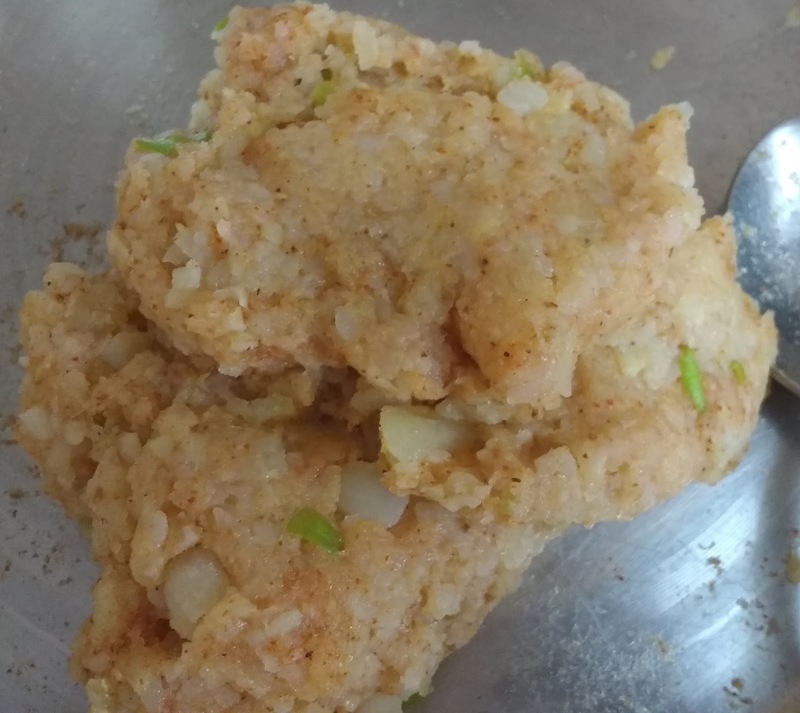 Later, just deep fry and serve them hot to win the accolades of your guests 😉 😍 👍 . 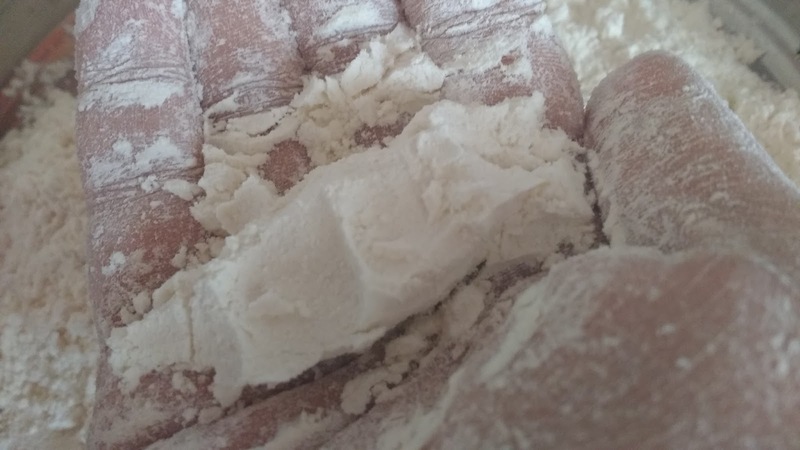 Take All purpose flour (Maida) in a mixing bowl. Add semolina, salt and oil to it. 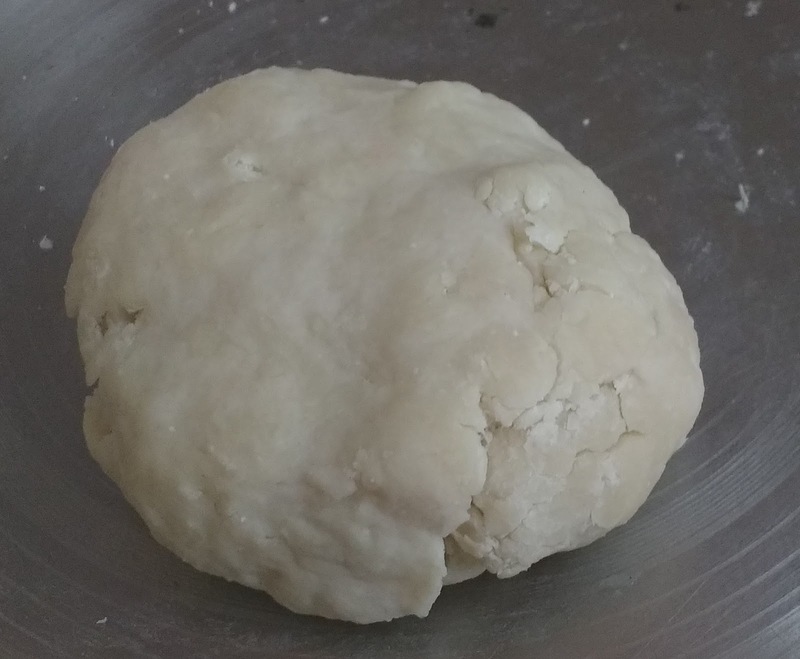 Rub all the ingredients well with hands so that a loose lump is formed when you close your fist. Gradually add water to the the flour in order to bind it into hard dough. Please note the dough should not be soft else you may not get the outer covering crisp. Cover it with a wet cloth and keep it aside for atleast 20 minutes. Grate the potatoes and add green chillies along with all the spices. Mix it well. 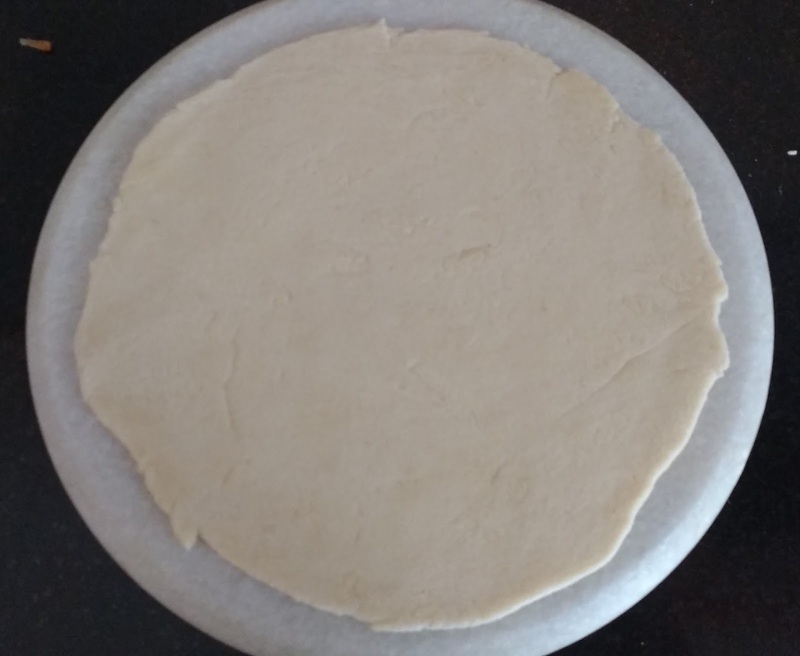 Start rolling the dough on a board into a circle focussing more on the edges. Spread the filling on the rolled dough. Level it with hands or with the help of a spoon/knife. Grease your hands and start rolling the sheet gently to form a tight log. 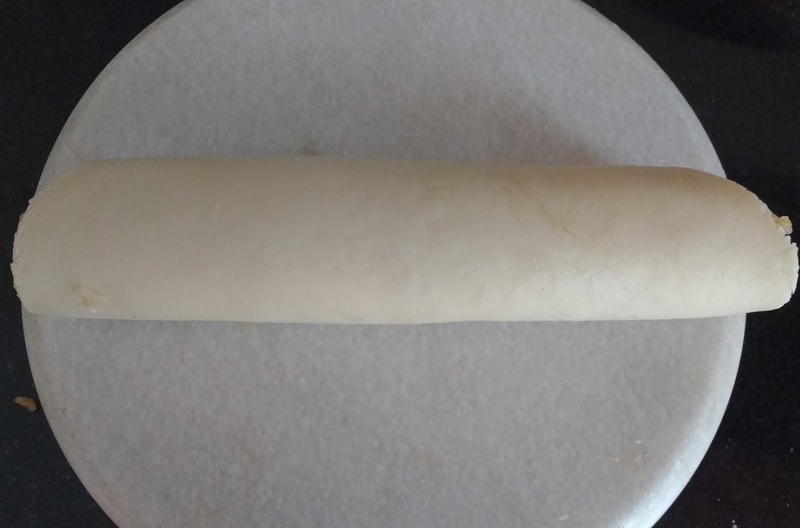 Roll this log gently for 1 min on the rolling board so that potato mash and dough sticks together well. 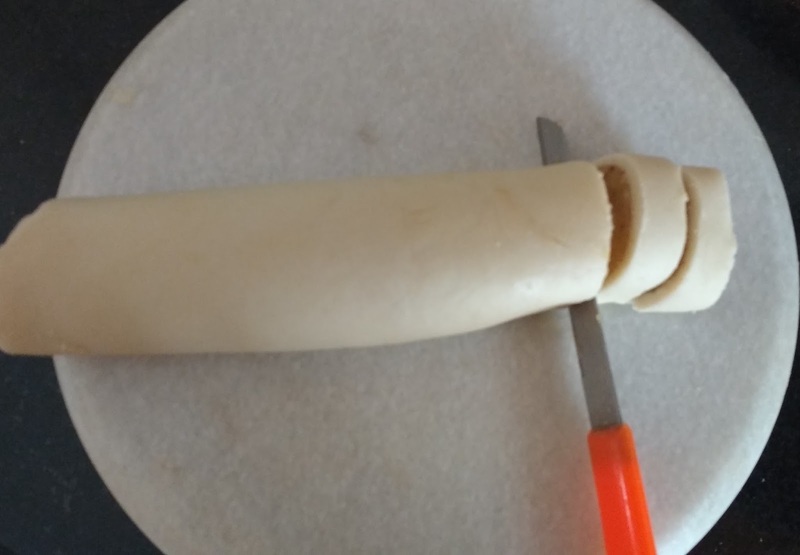 With the help of a sharp knife, start slicing the logs into 1/2 inch thick pieces as shown below. Preheat the Air-fryer at 180 degrees celsius for 5 minutes. In the mean time, brush some oil on the pinwheels. Once the air fryer is pre-heated, place the pinwheels such that the surface on which oil was brushed is facing downwards. Brush some more oil on the top surface of the pinwheels. Air-fry them for 15 minutes. After 15 minutes, again brush some oil and flip them. Let them cook for another 15 minutes in the air-fryer. For deep frying, heat some oil in a "kadhai" (buy here) or frying pan. 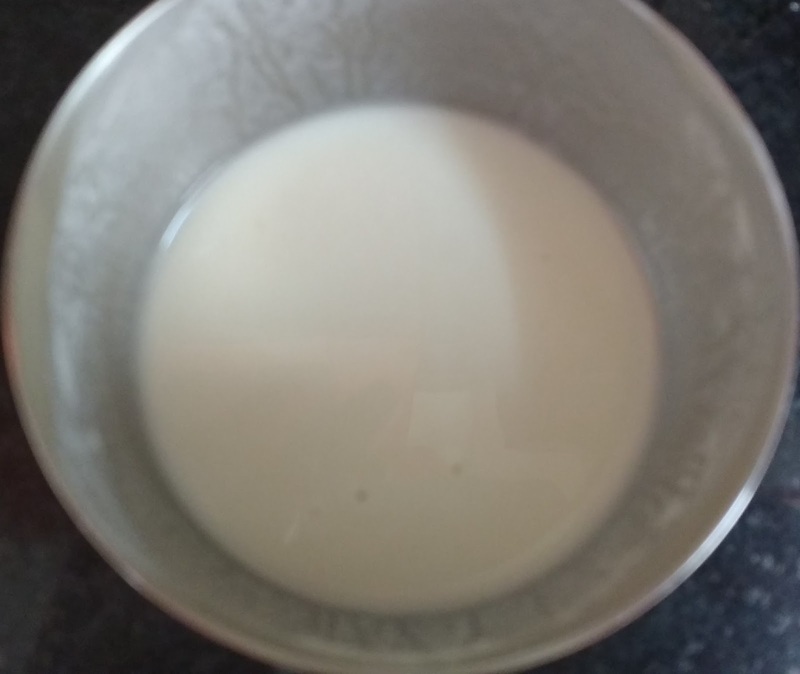 Prepare a mixture of Maida ( or APF) with water in the ratio 1:3. 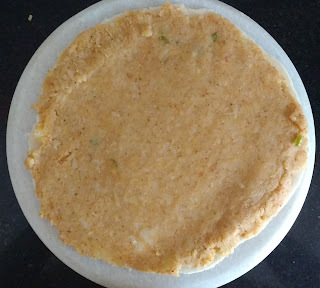 The mixture does not need to be thick. Coat the pinwheels one by one in this batter and drop them in frying pan. Lower the flame at this step. 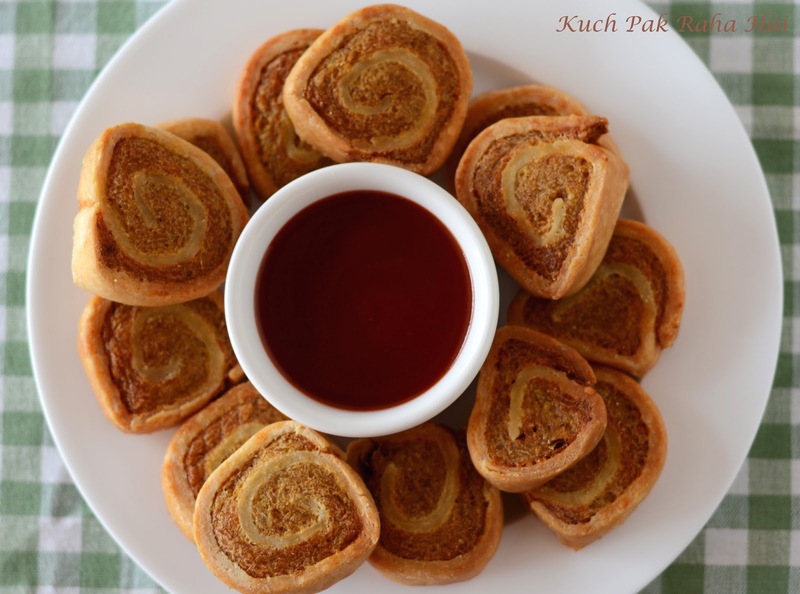 After 5-6 minutes, flip them so that they are evenly cooked and get that lovely golden brown colour on both sides. 1. Make sure the oil is Medium-Hot when you are dropping pinwheels in it. Once you have dropped the pinwheels, lowering the flame will give enough time for pinwheels samosas to get cooked from inside as well. 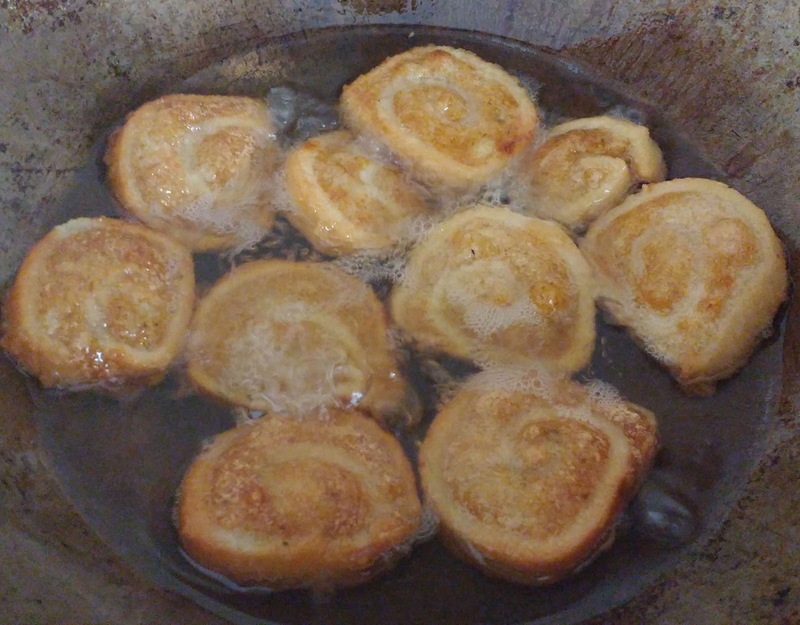 If you try to fry them on high flame they may get brown from outside really quickly leaving the insides soft and raw. 2. The batter in which pinwheels are being dipped before frying should not be very thick or runny; just translucent enough to coat them. 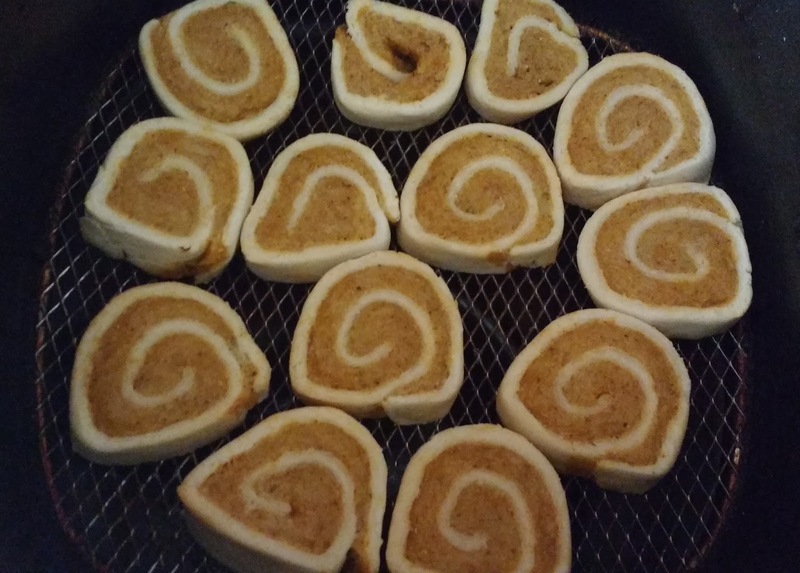 This batter prevents the pinwheels from unfurling in the frying pan. I love these recipes for my small deep fryer. They are really useful!